Last November, news broke out about the death of an American missionary, John Chau, who had gone on a mission to convert the North Sentinelese to Christianity. The North Sentinelese are an uncontacted people who have protected status from the Indian government. They are “hostile” to outsiders, likely due to other attempts at “contacting” them – such as British attempts at colonizing the Andaman Islands, which resulted in the kidnapping of Native people and multiple deaths due to the spread of diseases. As such, travelling to their islands is illegal, and attempts from the North Sentinelese to keep out foreigners by any means are permitted by the Indian government. As we see, the intellectual history of colonialism still haunts our political thought today. While these comments certainly received their fair share of pushback, I found that the discourses produced by Chau’s death have given us the opportunity to understand colonial mentalities. Colonialism has a long intellectual history. While much of it, in practice, was exercised through pure coercion and material power, plenty of rationalizations and normative justifications for colonialism took place and evolved in different stages. 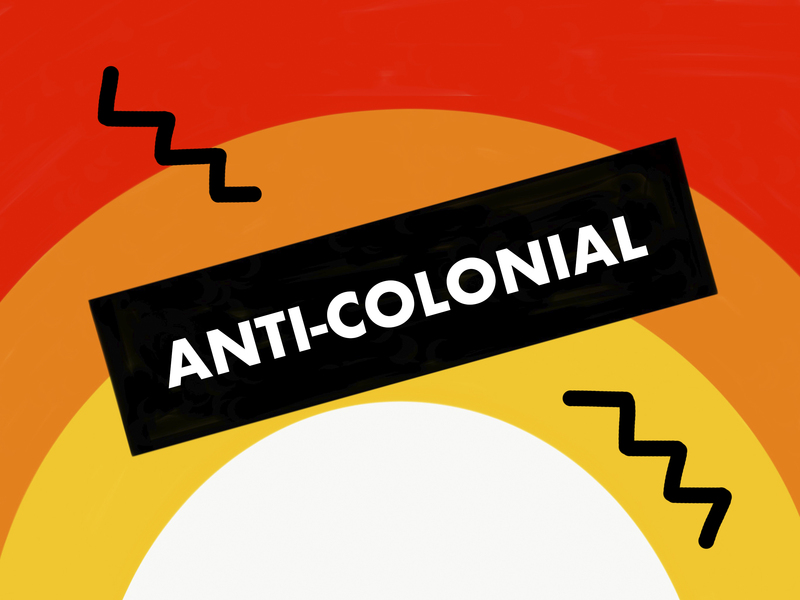 As we see, the intellectual history of colonialism still haunts our political thought today. In Imperialism, Sovereignty, and the Making of International Law, Antony Anghie effectively divides colonial thought into stages of intellectual rationalizations that have evolved in each era of colonialism. Colonial thought, Anghie argues, relies on something called “the dynamic of difference,” which postulates that there are two cultures: one that is universal and civilized, and the other that is rogue, hostile, and uncivilized. Advocates of colonialism thus try to “bridge” this gap by assimilating the latter into the former. As a result, the “civilized” are owed sovereignty rights, while the “uncivilized” are malleable. The form that this takes has been altered over time, but its basis in colonial thought has remained rather stable. The first rationalization of colonialism was an appeal to natural law. “Natural law” gained popularity in Western political thought through philosophers such as Aristotle and Thomas Aquinas. Its rationale is that there are universally binding principles about how we ought to act that are discoverable to anyone that possesses the use of reason. During the colonization of the Americas, European values were projected as the universal, natural law. It was thus Western “benevolent” thinkers that “posited” that Indigenous peoples were capable of reason (how nice of them!). However, since Indigenous peoples did not use their reason to adhere to natural law (e.g., by resisting European impositions of property and trade), subjugation of Indigenous peoples was justified under the guise of enforcing natural law. The second rationalization of colonialism was legal positivism, which claimed that law – international law in this case – was for civilized peoples. Hence, in order to have the privileges of sovereignty, states needed to have what European powers deemed “civilized social institutions.” Because practices of non-European states were considered “uncivilized,” they weren’t afforded the same rights to sovereignty as European states were. Therefore, European powers were justified in interfering with the governance of what they deemed “uncivilized” states. It is clear, for instance, that Sentinelese sovereignty — and the explicit wish to be left alone after a history of abuse – was not respected by Chau, and isn’t respected by bloggers and experts alike. The third rationalization was pragmatism, which divided the colonizer and the colonized into the “developed” and “undeveloped” world. Pragmatism was exemplified in institutions like the Mandate System in the Middle East, which sought to promote ‘good governance’ and economic prosperity. This was also for the sake of Western economic prosperity. For instance, in the Mandate era, the United States requested an “open door policy” to Middle Eastern oil deposits. In modern times, we see imperialism and violations of sovereignty in the Global South manifest through the idea of “good governance.” This can be seen with the notion of “spreading democracy” in Iraq or Libya. These interventions are often expressed in the language of human rights to make them more palatable. Nonetheless, they operate on the mentality that uncooperative, non-Western states should not be afforded the same kind of sovereignty as Western states and their allies. We know that there is no real concern about good governance; otherwise, Western allies that commit human rights violations — such as Bahrain and Saudi Arabia — would not have their sovereignty respected, either. The case of North Sentinel shows us that these three rationalizations have not made a clean break from each other, but are instead a chimeric spectre haunting today’s popular discourse. While Chau’s venture mimics the “natural law” rationalization, reactions to North Sentinel and Chau’s death have shown us a noteworthy blend of colonialism’s three dominant rationalizations. It is clear, for instance, that Sentinelese sovereignty — and the explicit wish to be left alone after a history of abuse – was not respected by Chau, and isn’t respected by bloggers and experts alike. While the Sentinelese case is unique, the responses to it are not. The urge to try and expose the Sentinelese to our ways of living despite very clear signals of rejection and the laws of the Indian government continues the pattern of disregard for sovereignty in non-Western states. The newer language of “good governance” is implicit in the above arguments. Because the North Sentinelese do not partake in our globalized economy, they are of no use to the global political body with respect to resources and trade. Thus, integration into the global economy would give other states access to North Sentinelese resources. “Development” language often implies that economies must “modernize” like Western ones. In order to avoid unwelcome invaders and condescending calls to be civilized, “developing” nations are urged to follow the same historical trajectory as developed ones. The “development” rationale continues today with the World Bank and International Monetary Fund, which intervene in developing states to create compliance with Western financial interests. Frameworks like that of Anghie’s help us understand and see our history in action, as colonial rhetoric is repeated and perpetuated further. The arguments that we see resurfacing are not new, but rather, (often poorly) evolved and borrowed from a dark and shameful past. The “development” rationale continues today with the World Bank and International Monetary Fund, which intervene in developing states to create compliance with Western financial interests. John Chau’s writings did not indicate that he had conscious illwill toward the Sentinelese, but it did contain elements of infantilization that are all too familiar. He referred to the island as “Satan’s last stronghold” that could be saved by benevolent Christians like himself. If the belief is that Christianity is a self-evident truth, then the North Sentinelese would, hypothetically, be left to contemplate it on their own, as natural laws are supposedly discoverable to anyone that can use reason. But it does not seem that the North Sentinelese are being treated as rational agents at all, despite the fact that they are behaving as such. This is likely because rationality is being conceived of as “openness” to modernization and conversion to Western ways of life. But given the colonial violence the North Sentinelese have experienced, resistance to foreign contact and interventions seems like rational self-preservation. That is, they are acting on the knowledge and experiences that they have to keep themselves safe from colonialism, violence, and exposure to disease. The problem is that treating the North Sentinelese as rational agents puts colonial apologists in another bind: namely, that they should then be permitted to set the terms of their own practices within their legally protected parameters. This means that their “development” is up to them, and not those that wish to “civilize” them or show them the light. To quote C.L.R. James, a scholar of the Haitian Revolution: “Bonaparte was not going to be convinced by Toussaint’s justice and fairness and capacity to govern. Where imperialists do not find disorder they create it deliberately.” The rationales presented by Anghie have transformed and evolved precisely because they need to keep up with those that continually point out their inner contradictions.